The Atlantic hurricane season may be slipping by to little fanfare (so far), but it’s a different story in the northwest Pacific. 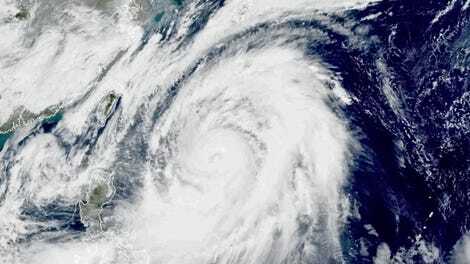 A dangerous super typhoon currently packing 170 mph winds could make landfall in Japan early next week. 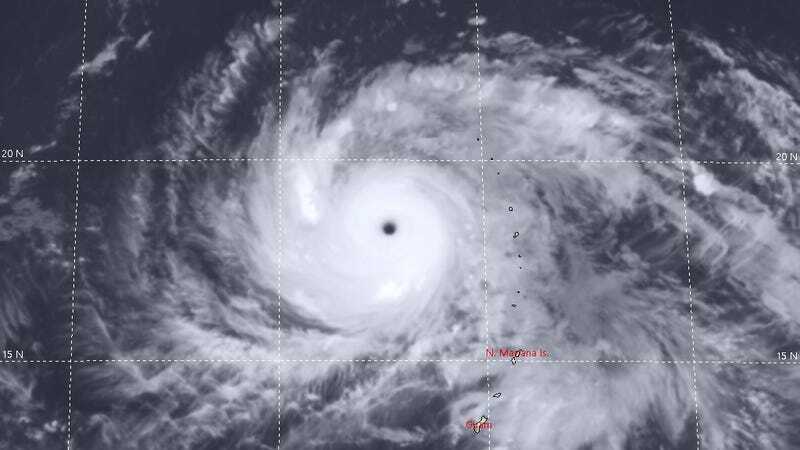 Typhoon Jebi, which started getting organized east of Guam on August 27, exploded to life over the last few days, intensifying from a Category 1 to a Category 5-equivalent storm in less than 48 hours between August 29-30. Colorado State University tropical storm expert Philip Klotzbach told Earther that based on its central pressure and maximum windspeeds, Jebi has achieved the dubious distinction of most powerful cyclone to date this year. Currently located 300 miles northwest of Saipan, Jebi is moving northwest at 16 miles per hour, continuing its trek over open ocean into the weekend before making an expected northward veer early next week. That turn will place it on a direct course for mainland Japan. Recent model runs show a high chance of the storm making landfall near Kyoto, potentially as a powerful typhoon. “Jebi was in a fairly classic environment for rapid strengthening,” Weather Underground meteorologist Bob Henson told Earther via email, citing warm ocean waters and favorable upper level wind conditions. “Its forecast track is also a textbook case of recurvature,” with initial movement toward the west or northwest before curving around to the north at mid-latitudes. 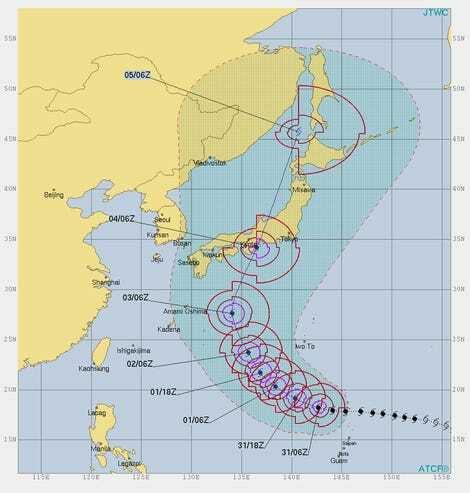 East of Shikoku and south of Honshu, the storm could kick up waves up to 10 meters (33 feet) high as it approaches Japan, creating a hazard for ships, according to AccuWeather. But the real concern is the impact on the heavily populated areas within the storm’s forecast cone of uncertainty, including Tokyo. Flooding, mudslides, and destructive winds are all possible impacts. If this feels familiar, it is because we’ve been here before. 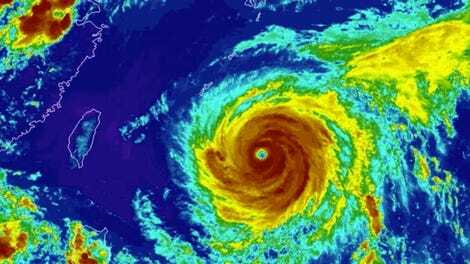 Japan has already seen heavy rainfall associated with two typhoons, a tropical depression and a tropical storm this month, AccuWeather notes. In July, western and central Japan experienced historic rainfall and deadly landslides brought on in part with Typhoon Prapiroon, with Typhoon Maria following closely on its heels and delivering even more rain to the nation’s southern Ryukyu islands. With northern hemisphere tropical cyclone activity often peaking in September and lasting through November, Japan may not be out of the woods for a while. This article has been updated to include a comment from Philip Klotzbach.